On Sunday, at the 2016 Rio Paralympics, Abdellatif Baka of Algeria and three other visually impaired runners ran the 1500m T13 final seconds faster than the Olympic gold medalist who ran the same race in Rio. 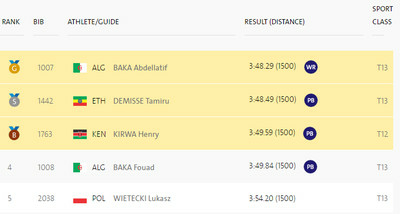 Baka set a new Paralympic world record of 3:48.29; his brother Fouad’s 1500m time of 3.49.84 was faster than that of Olympic gold medalist Matthew Centrowitz, but earned him only a fourth-place finish in the Paralympic 1500m. 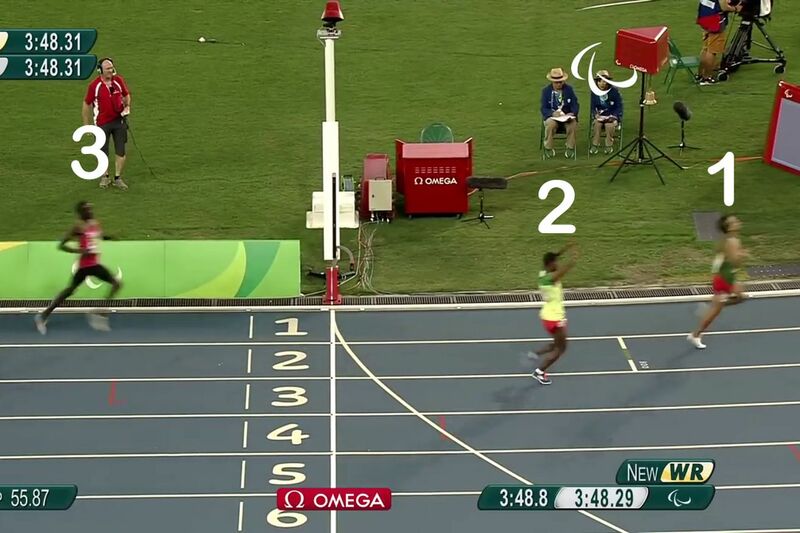 Distance races vary in pace — and this year’s Olympic 1500m was slower than most — but the comparison between the two races still helps shine a light on just how impressive these Paralympians are. “It wasn’t easy to get this gold medal,” said Baka. “I’ve been working one or two years non-stop and it’s been very, very hard for me,” said Baka.